1 Was die appels en droog dit goed af. Druk ‘n stokkie in elkeen se stingelkant. 2 Verhit al die ander bestanddele behalwe die springmielies saam. Voeg 125 ml water by. Roer die mengsel tot die suiker opgelos het. Verf enige kristalle wat aan die kastrol se rand vorm, met ‘n klam kombuiskwassie skoon. totdat dit ‘n temperatuur van 138 °C op ‘n suikertermometer bereik. om die kookproses stop te sit. Sit dan die kastrol op die werkoppervlak langs die appels. 4 Doop elke appel in die toffie en sorg dat dit oraloor bedek is. pak die toffie-appels op ‘n skinkbord wat met waspapier uitgevoer is. draai die toffie-appels in sellofaanpapier toe en bind dit met ‘n kleurryke lint vas. You’ll need 16 wooden iceblock sticks for this recipe. Line 2 baking trays with non-stick baking paper. 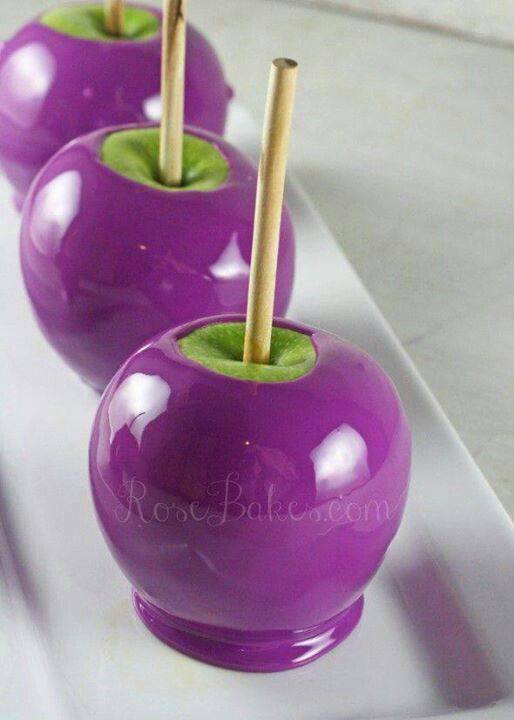 Insert 1 wooden iceblock stick into the core of each apple. Melt the chocolate melts following packet directions. Dip 1 apple, two-thirds of the way, into the chocolate and rotate to coat. Sprinkle with peanuts. Place on the lined tray to set. Repeat with 7 more apples, chocolate and peanuts. Place the sugar, water, butter, vinegar and golden syrup in a large saucepan over medium heat and stir until the sugar dissolves. Bring to the boil. Robyn Long shared Heather Pettit’s photo. Combine the sugar, corn syrup, and water in a heavy boiler (sauce pan). Turn on medium to high heat and let the mixture come to a boil. 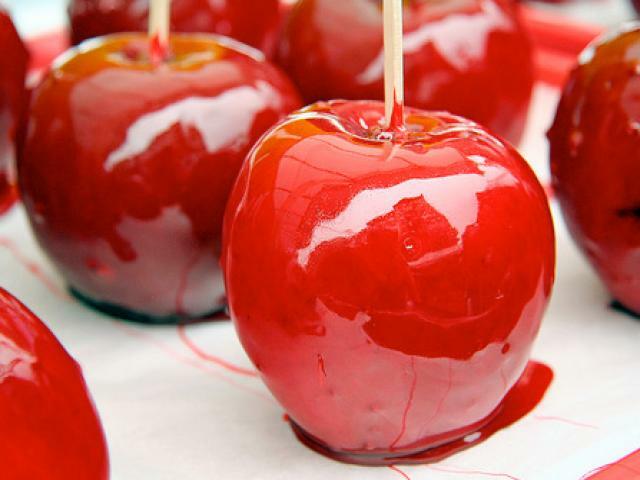 While that’s going on… make sure your apples are ready (washed, dried, and on the sticks! ), then spray a cookie sheet with non-stick butter spray. The “butter” flavor isn’t necessary, but butter makes everything better, right? When the candy reaches 302°, immediately remove it from the heat and use a rubber spatula to stir in the vanilla (or other flavor). Then add the white gel paste and whatever color you want the apples to be… for me it was pink (and later on, orange.. but that was two different batches!). Stir it gently to get the color evenly incorporated. You’ll want to work quickly because the candy will start to cool immediately. As soon as the colors are evenly mixed in, begin dipping your apples. I like to tilt the pot to get them really well coated, then let the excess drip off for a few seconds. After they’re dipped, I set them on the buttered cookie sheet to harden. Be careful!!! This sugar is HOT and it will hurt you if you touch it! !